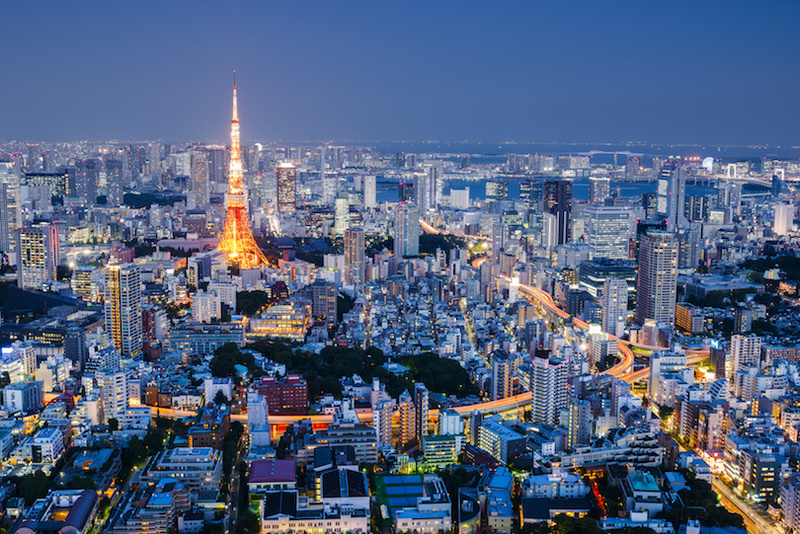 Tokyo, the capital of Japan, is a perfect example of the country’s ultra modern lifestyle amalgamated with its historic background. 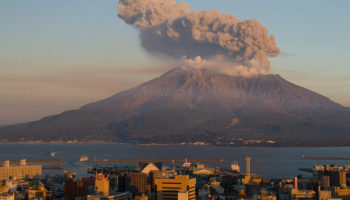 A city of contrasts, Tokyo has become highly popular in the tourist circuit over the past few years. 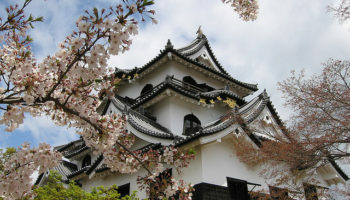 Undeniably, the city is regarded as the most-populous metropolitan and has a stellar reputation for being a treasure trove of attractions and experiences. Once a small castle town known as Edo, Tokyo is filled with culture, entertainment, shopping, dining avenues, and of course, history – lots and lots of it. 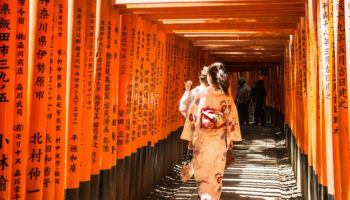 No amount of time can be enough to explore the city entirely, however, three days gives you ample opportunity to enjoy the best sites of Tokyo (you can always come back for more). 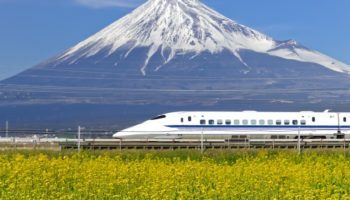 One of the most convenient ways to traverse through the city is by using the Japan Rail Pass, however, the minimum amount of days for that card is 7 so you’ll be paying for more than you need. Alternatively, you can opt for a pay-as-you-go travel card such as SUICA and PASMO. There are day passes available as well. Though the city is extremely pedestrian-friendly, it doesn’t hurt to have a day pass to give your legs a break. You can also easily purchase train/metro tickets which are highly economical. Begin your first day in the city with a traditional Japanese breakfast of steamed rice, grilled fish, salad, pickles, and miso soup – quite different from a typical western breakfast! 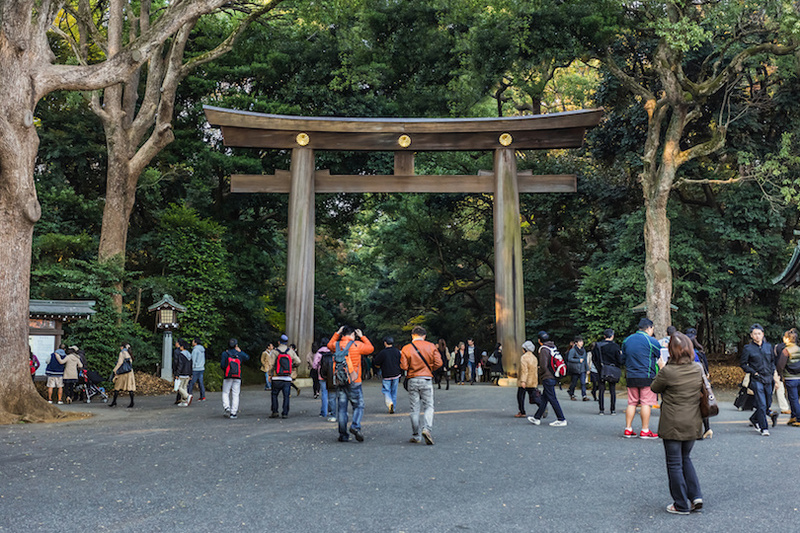 Take the train or subway to arrive at the Meiji-jingumae/Harajuku stop and walk just a single minute to reach the historic Meiji-jingu shrine which is dedicated to the spirits of revered Emperor Meiji and his consort, Empress Shōken. The shrine is divided into two parts – Naien and Gaien, each with multiple points of interest such as a Treasure Museum, the Meiji Memorial Picture Gallery, and the National Stadium. 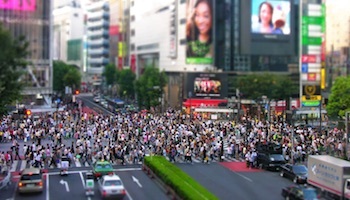 From here, a 10-minutes’ walk brings you to Omotesandō, known as the main shopping avenue in the district. A good idea is to stroll around the area, soak up the atmosphere and if you want, take time to do some eary trip shopping. Then head to the remarkable Nezu Museum that houses Nezu Kaichirō’s finest collections of traditional Japanese and East Asian art. When here, you absolutely cannot skip a visit to the magnificent gardens. Walk back towards Omotesando Station and take the Ginza line to Shibuya. Take the Hachiko exit to visit the most loyal companion, Hachiko, and snap a few photos next to the Hachiko Statue. 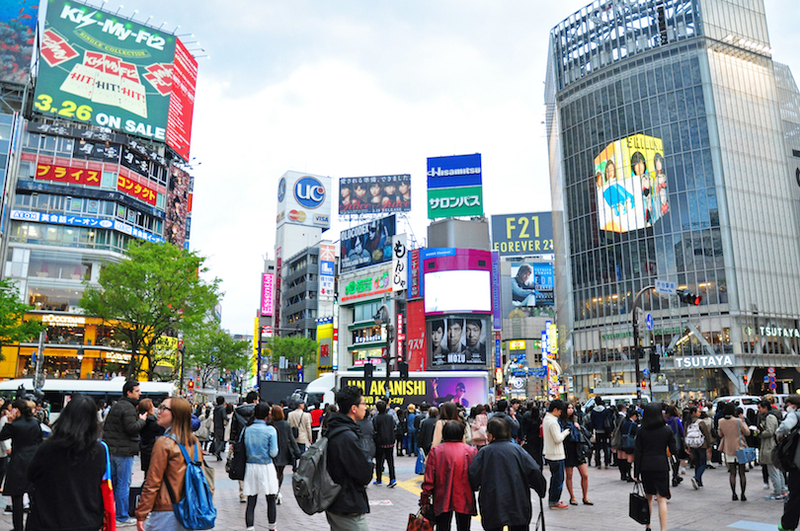 Start the afternoon by exploring the prominent Shibuya crossing and its many boutique stores. The area is also a great place to enjoy a Japanese lunch – Ichiran (ramen) and Hakushu Teppanyaki (teppanyaki) are highly recommended. After your lunch make your way to Roppongi using the train and subway, then walk 5 minutes to arrive at Mori Tower within the Roppongi Hills Complex. One of the tallest buildings in Tokyo, Mori Tower is home to one of the best observation decks in the city, the Tokyo City View located on the 52nd floor. You could also buy a combination ticket to visit the Sky Deck and the Mori Art Museum – an exhibition highlighting innovative modern art. 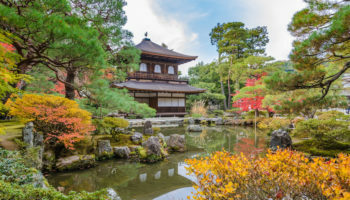 If you are in the city during Japan’s cherry blossom season, Mori Garden is a great place to admire the blooms as well as the traditional Japanese style garden landscape. Roppongi District is one of the most famous areas in the capital city of Tokyo. Home to over 200 restaurants, cafes, and shopping avenues, the district is buzzing with fun and excitement, irrespective of when you visit. Come evening, Roppongi is busy and filled with life. You can grab your dinner at Roppongi and then stay for a night full of entertainment. 37 Steakhouse & Bar and Sukiyabashi Jiro are great choices for dinner. For a night out in the area, V2 Tokyo Restaurant & Nightclub and ODEON is where you should be (especially if you wish to party till the early morning). If you enjoyed one of our recommended nightclubs last night, it’s time to start your day with freshly brewed strong coffee and some needed breakfast. You could take breakfast at your hotel or make your way to Asakusa and relish the excellent breakfast menu at Asakusa Kagetsudo. 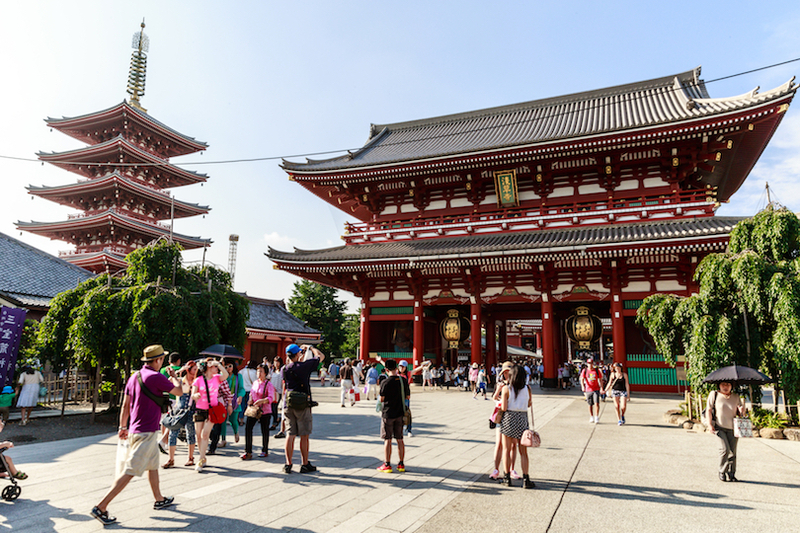 Just a few minutes walking from Asakusa station is the most visited temple complex of not just Tokyo but the world – the Senso-ji Temple. Dedicated to the Buddhist Goddess of Mercy, Guanyin, the temple is accessed through the majestic Kaminari-mon Gate. While here, explore the adjacent Asakusa Shrine, the 55-meter-high five-story Pagoda, and the Shinto Shrine. Also, the shopping street of Nakamise-dōri is a great place to buy souvenirs, trinkets, and authentic Edo-style handicrafts. Once again, hop on the Ginza subway and make your way to Ueno. Visit the Tokyo National Museum – the oldest of its kind in Japan and one of the largest in the world. Later, take a stroll around the Ueno-Koen Park. Once a section of Kaneiji Temple, the park’s grounds comprises the Shinobazu Pond, Ueno Zoo, Kiyomizu Kannon Temple, and Bentendo (constructed on an island amidst the Shinobazu Pond). Take the train once more to reach the Tokyo station and stop for lunch here. Sushi Aoyagi (sushi) and Tapas Molecular Bar (Japanese) are two of the top preferred eateries in the area. 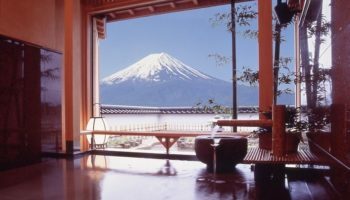 To spend a relaxed yet productive afternoon, head over to the Mitsubishi Ichigokan Museum, known for its art exhibitions. Check online for what’s on display or get the information from the tourist center at the Kitte Building. 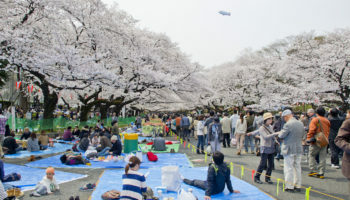 Afterwards, consider spending time at the Hibiya Park. Explore the outdoor theatre, the library and museum, the Solar Watch, and finally rest by the Hibiya Park Fountain. You had a small taste of Shibuya crossing on your first day, but it is now time to explore what is allegedly the busiest, craziest intersection in the world. 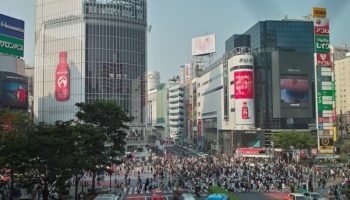 The gigantic beating heart of Tokyo (and of course, Japan), Shibuya doesn’t have a lot of attractions, but that’s because it is an attraction itself. 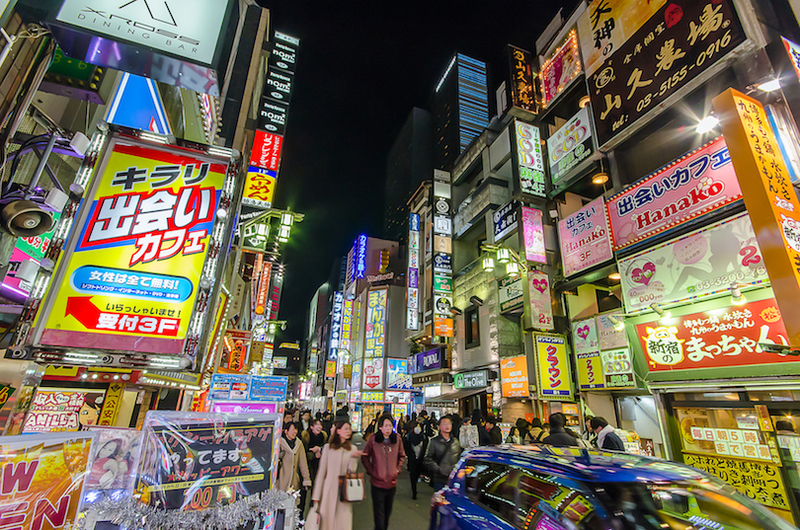 Nicknamed the “Times Square of Japan,” Shibuya is home to endless trendy shopping stores, all kinds of diners, and of course, a vivacious nightlife. Sound Museum Vision is not just one among the most popular night clubs in the area but is highly regarded as a landmark for party-goers. For a cocktail with a view, Bello Visto’s 40th Floor is a recommended choice. You are on the last day of your 3-day trip to Tokyo, so let’s get on with seeing so much more that this incredible city has to offer. 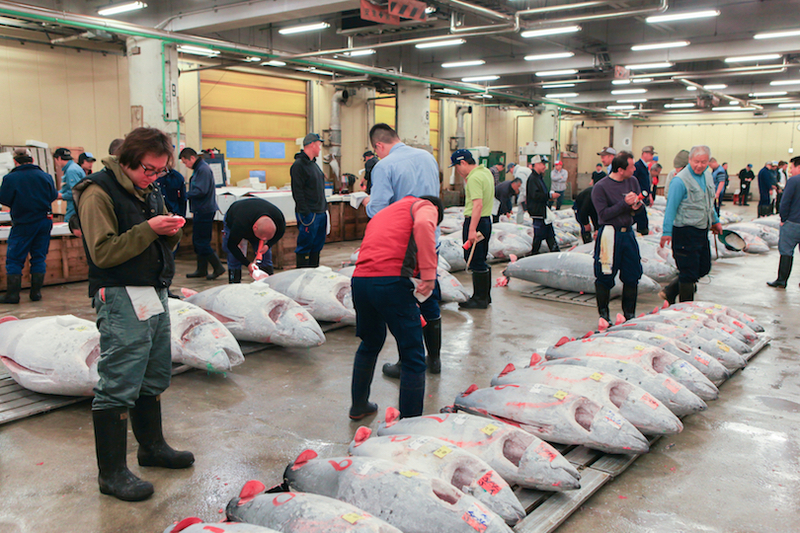 Get an early start to the day (possibly, as early as 05:00 AM) and head straight to the Tsukiji Fish Market. The largest and the busiest fish market in the world, Tsukiji makes it to almost every guidebook and blog written about the city. Reach there in time to be able to experience the Tuna Auction – the first batch of tourists go in at 05:25 AM (only 120 visitors a day; get your permission at Osakana Fukyu Center). Wednesdays and Sundays are mostly off days so plan your visit accordingly. If you are not an early riser, come around 10:00 AM and visit the Outer Market. 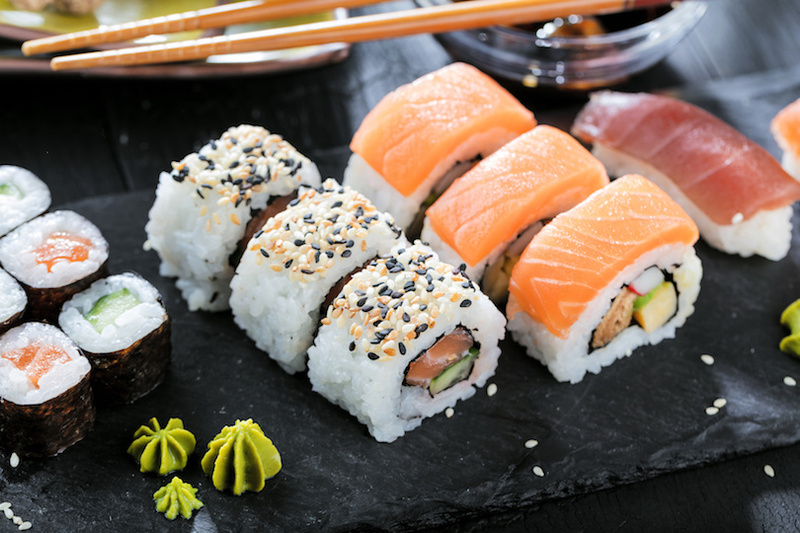 Enjoy a sushi brunch at one of the several restaurants in the area. A short distance from the market is the Hama Rikyu Gardens. Located on Tokyo Bay, the pleasant garden retreat is a wonderful place for a morning stroll. Don’t miss the 300-year-old Pine and the many ponds. Take the train from Shimbashi station to Tokyo station and before continuing the rest of the journey, sit down for lunch in or around the station area. 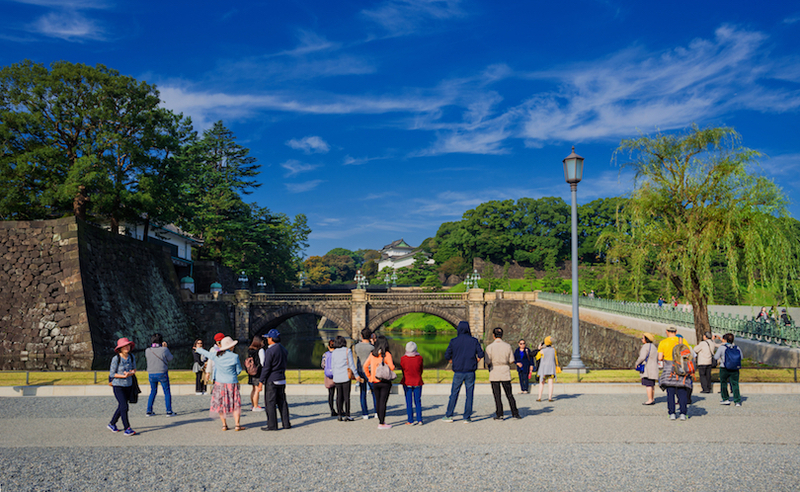 After lunch, walk 10-15 minutes to reach the Imperial Palace East Garden. 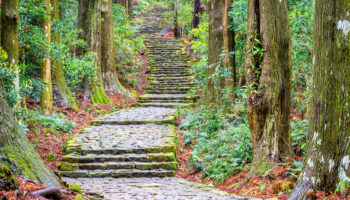 Explore the Garden Area which is filed with several points of interest including but not limited to Edo Castle Ruins, Kitanomaru Park, Seimon Ironbridge, Seimon Stonebridge, and a few museums. 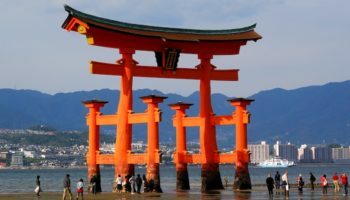 Later, pay a visit to Yasukuni-jinja Shrine and more importantly, the controversial yet intriguing Yushukan Museum and the Yushukan War Memorial. There is no better way of bidding farewell to the charming city than spending the last moments here in the heart of one of the most significant wards in Tokyo. The Shinjuku line brings you to Shinjuku Station – the busiest railway station in the world! Navigate through the busy station and head to the Tokyo Metropolitan Government Offices to enjoy a mesmerizing view of the city (perhaps, even Mount Fuji) from the observation decks. And, then walk over to the extremely popular East Side for some neon madness. 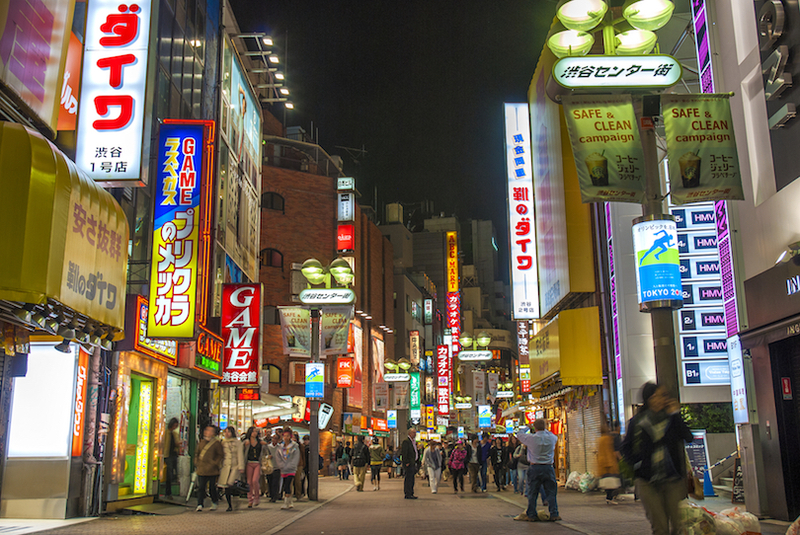 Stroll through the largest red-light district of Tokyo (it’s totally safe! ), Kabukicho and get crazy at one of the many bizarrely-themed restaurants – Robot Restaurant and The Lock Up are the top of the lot.